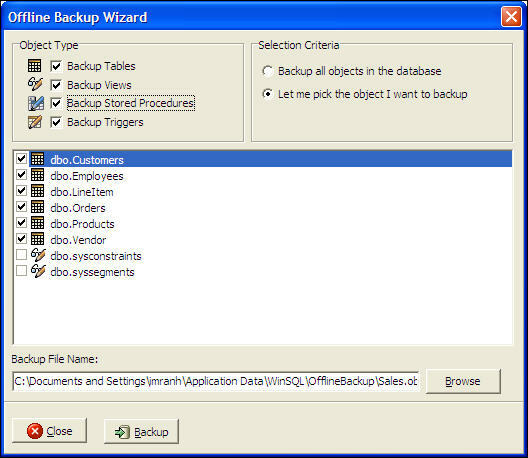 This feature allows users to conveniently backup data in any database, even if the back-end RDBMS does not support it. 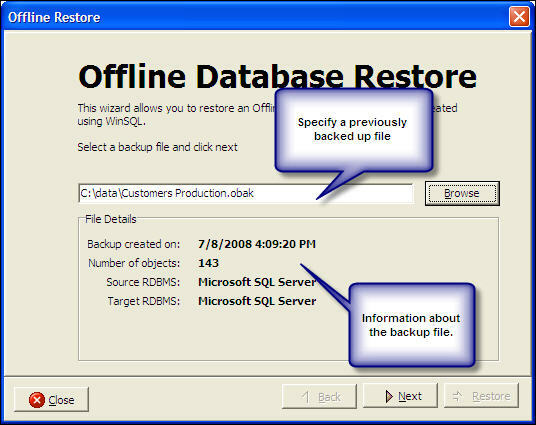 This Offline backup/restore is quite different from the native backup utilities that comes with many databases. It is important that you understand the pros and cons before using this feature in WinSQL. This feature is NOT a replacement for the native backup utility. 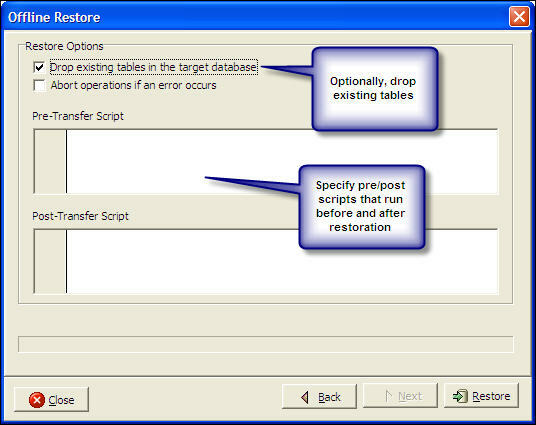 Selective backup/restore - you pick which tables you need to backup or restore. 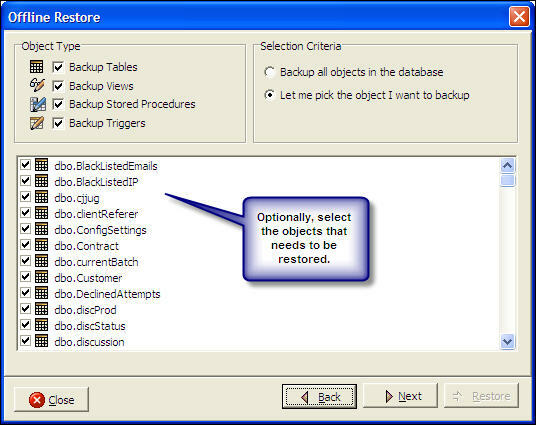 A native backup utility typically backs up every object in the database. The Offline Backup/Restore is significantly slower than the native backup utility. Therefore, use the native backup/restore feature when speed is important. This feature only backs up tables, indexes, stored procedures and triggers. 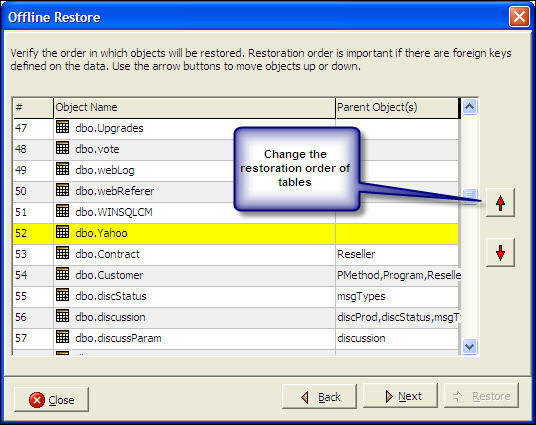 It does not backup other database specific objects such as sequences, user defined data types and user logins.